In September and October 2018, we did a 32-day road trip around the North Island of New Zealand followed by a 10-day cruise that brought us back to Australia via the South Island of New Zealand. I know, 32 days seems like an awful lot to spend on just the New Zealand North Island, right? Especially considering we visit some of those same places again on the subsequent 10-day cruise home. However, there are actually so many places to see and things to do here that are often overlooked. We could easily have spent longer here, and there are places I want to go back to and spend some more time in! We picked up a hire car from Avis at Circular Quay and drove home. Day 2 of our 42-day road trip around the North Island of New Zealand started off from our accommodation in Greytown, Greyfriars Motel. We headed down to the town of Martinborough, and then made our way to Lake Ferry, out to Onoke Spit, and then across to Cape Palliser Lighthouse. On the way back, we hiked up to the Putangirua Pinnacles where some scenes from Lord of the Rings were filmed. This is a ruggedly beautiful part of New Zealand and much to our surprise, we found some adorable seals and their pups chilling on the rocks by the road. This article is all our own experience. Everything was paid for by us and no part of it was free or subsidised. That said, many of the links in this post are affiliate links, which means that I get a small commission if you click it and make a booking or purchase. I hope that you’ll use these links anytime you need to book a place to stay or activity! These small commissions help me to keep travelling so I can write and film more travel guides for you. I would never recommend anything I don’t or would not personally use! Day 1 of our 42-day road trip around the North Island of New Zealand started off at Rydges Sydney Airport Hotel. We got a morning flight to Wellington, New Zealand where we arrived mid-afternoon. We picked up our hire car from Jucy Rentals and went to The Hop Garden for lunch. Finally, we made our way out of Wellington to Greytown via the Remutaka Pass. We stayed at Greyfriars Motel in a garden room, a lovely spot to be based out of for a few days! When we landed in New Zealand, it was about 3 pm local time. Smack bang on lunchtime back in Australia, so by the time we got through customs, caught the free shuttle to Jucy, and picked up our hire car from them, we were starting to get pretty hungry. The first place on our list to visit for a bite to eat was The Hop Garden. What’s your favourite thing to eat when you get off a long flight? Let me know in the comments at the end of this post! This article is all our own experience. Our meal was paid for by us, and no part of it was free or subsidised. That said, many of the links below are affiliate links, which means that I get a small commission if you click it and make a booking or purchase. I hope that you’ll use these links anytime you need to book a place to stay or activity! These small commissions help me to keep travelling so I can write and film more travel guides for you. I would never recommend anything I don’t or would not personally use! Our primary reason for selecting this hotel is that they traded on Bartercard they are located reasonably conveniently. Parking in Wellington can be a pain, so we wanted somewhere that had reasonably accessible street parking at the very least, and there is street parking right outside The Hop Garden. We also were intrigued by the vegan crispy cauliflower on the menu. The Hop Garden is a bit of a hole in the wall kind of bar and restaurant. It’s hidden away on a narrow strip of land sandwiched between other buildings. It’s the kind of place I’d normally pass by and not even give a second thought to. Inside though it’s surprisingly spacious, and when we visited just after they opened, it was dead quiet. On their website, the Hop Garden indicates they have a focus on the microbreweries of New Zealand, and while we don’t drink alcohol, it was nice to see that this extended to other beverages too, including some unique varieties of ginger beer. I gave the Hardieboys ginger beer a whirl. Made locally in Wellington, I can quite simply say it is the best ginger beer I’ve ever had, period. I wish I could share more about it and even find it here in Australia, but, unless I broke the internet, I can’t find hardly anything about them except this article. So, besides the Hardieboys ginger beer I had, wifey got a hot chocolate which was delicious. Let’s not forget about the food though. So, because we were there fairly early in the afternoon, only the bar menu was available, not the a-la-carte. I was super excited to try the cauliflower burger, so that’s what I ordered. Wifey opted to go for the hamburger and we grabbed a medium size hot chips to share. Wifey’s hamburger came out. The beef rissole is house made and while it’s not the most visually appealing burger you will ever see (not even close), wifey vouches for its tastiness. Next came out my unusual looking cauliflower burger. As you can see, it was just cauliflower. No one said anything to us about it so I thought perhaps they mistakenly thought I ordered the crispy cauliflower. They are the same price, and I was hungry, so, while I was disappointed, I just went with it. What I can tell you about this cauliflower is that it is amazing. I was really surprised by just how good this cauliflower is. Whether you are vegan or not, this is something worth trying. Our chips also arrived, and we were really surprised at how tasty they were as well. The chips are listed as hand cut, and the serving was a decent amount bigger than we expected it to be. Interesting drinks from local brewers. Doesn’t know how to process Australian Bartercard’s. We really enjoyed the food we had. I was disappointed that I didn’t get the burger that I ordered. That said, they did check the order and noted that I had indeed ordered the burger, so they gave me the crispy cauliflower for free which I really appreciated. We did check with them by email beforehand and also when we first arrived to make sure our Australian Bartercard would be fine, but unfortunately, it turned out they didn’t know how to process it and we had to pay with our credit card instead, so that was also a downer on the experience for us. That aside though, the food really was yum and I loved the Hardieboys ginger beer. Our visit was very quiet and the food did arrive quite quickly. Overall, I’d have to go with 3.5 stars out of 5, mostly because of the cauliflower. It’s just a pity we had two issues when we were the only people there. Drop in and check them out while you are in Wellington, New Zealand, it’s worthwhile, especially for the cauliflower. If you are driving, it’s quite easy to get to, the bigger problem is parking. Being just outside of the CBD, there is some free street parking available. However, While there is street parking right outside on Pirie St, there isn’t a lot, and some of it is limited to 60 minutes. There are two bus stops nearby, one right around the corner on Kent Terrace and one further up Pirie St. You can get bus route 1 to the Kent Terrace stop, or route 2 to the Pirie St stop. The Hop Garden is open every afternoon from 3 pm until late. Thursdays through to Sunday they open in the morning, but the hours vary. Check out their website for current opening hours. I’d love to know if there is something you particularly like to eat after a long flight, especially if it helps you with jet lag! For me, it’s more about having the nearest meal (breakfast, lunch or dinner) in the local timezone than what I’m actually eating. If you are travelling to Japan via the Tokyo Narita Airport, you might have already looked at it on a map and discovered that it is a loooooong way from Tokyo city proper. 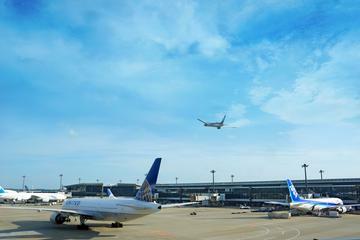 In fact, it’s almost 70 kilometres from the airport to Tokyo Station in the heart of the city. That’s an hour on the Narita Express train, and up to two hours to drive. If your flight arrives in the evening or late at night, you probably aren’t going to feel like doing that hike. Especially not if you’ve just been on a plane for almost 10 hours from Australia (Unless, of course, you can afford to do a 20-minute helicopter transfer). It isn’t high on our list either. 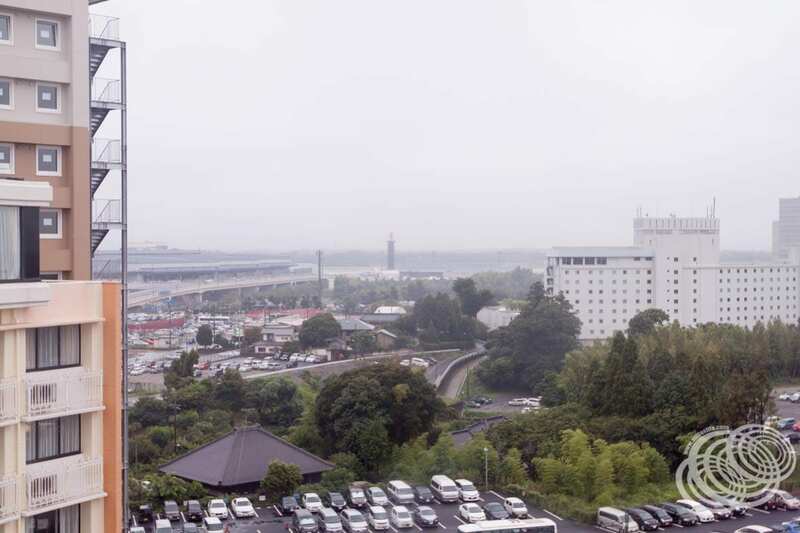 Fortunately, there are a number of hotel options around Narita Airport. We went with the cheapest non-capsule hotel option. 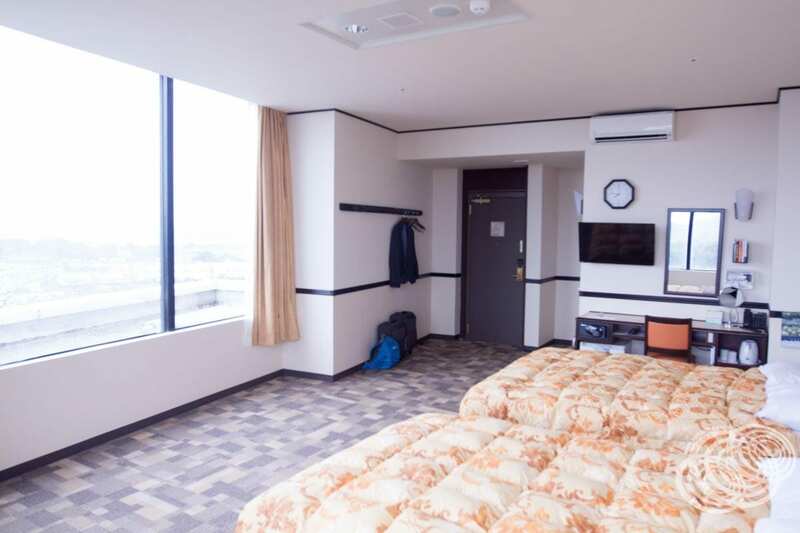 Since we only booked it two weeks before our arrival, that turned out to be the deluxe twin room at the Toyoko Inn Narita Airport, also called the Toyoko Inn Narita Kuko on some booking sites. Everything else below $200 and within walking distance of the airport was booked out. If you’ve stayed here as well, either in a deluxe twin room, or another room category, I’d love to hear what you thought about it. I’d also like to know what your favourite things to do in the area are. Let me know in the comments after this article! 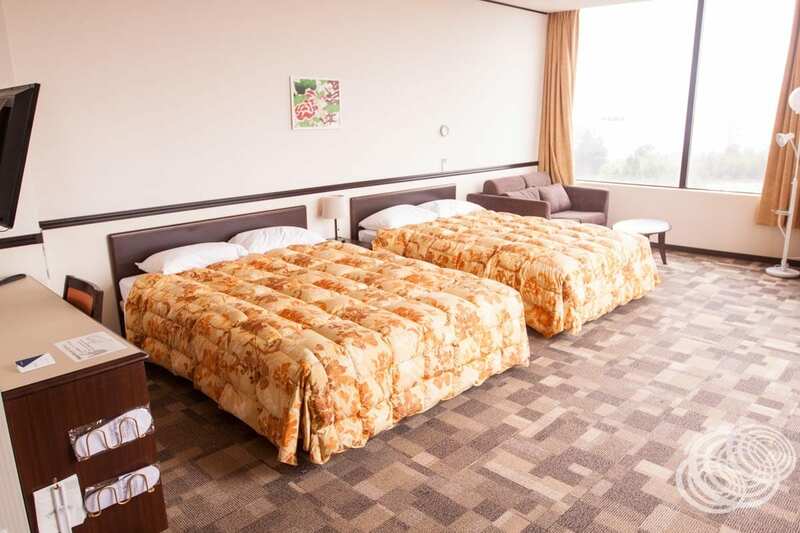 If you are just off a long flight and eager to stretch your legs or just plain keen to walk, the Toyoko Inn is within walking distance from Narita Airport. Keep in mind though, there are three terminals here, and the hotel is not central. The Toyoko Inn is closest to Terminal 3, but as Terminals 2 and 3 use the same entrance, it’s about 2km’s from Terminal there and 2.4km’s from Terminal 1. For those of us that just want to get to our hotel, get some food and go to bed, there is a free shuttle bus, YAY! The bus is extremely convenient. From the Terminal 1 building, it stops at stop number 16 just outside the arrival lobby at the South Exit S2. From Terminals 2 and 3, it stops at stop number 31B just outside the central entrance to the first-floor arrival lobby. The shuttle is normally every 20 minutes (less frequent between 10 pm and 6 am) and is not bookable, it’s first come, first serve. We found that there weren’t a lot of people waiting when we got on at the Terminal 2/3 stop, but a lot more got on at Terminal 1. Since each shuttle stops at both Terminal 2/3 and Terminal 1, it can take 15-20 minutes to get to the hotel. More importantly, if you need to get the shuttle back to the airport during peak time in the morning, it can take up to 40 minutes due to heavy traffic (it actually took about 35-minutes for us to get to the airport again the next morning, departing the hotel at 8:15am. So make sure you leave yourself plenty of time. Please note, the shuttle information was correct when we took it, and still is at the time of writing, but definitely check their website for the latest shuttle information. If you would like a more private and direct route to the hotel, there are lots of taxi’s waiting at all terminals. A direct trip will still take 10 minutes under light traffic though due to the way the roads take you. 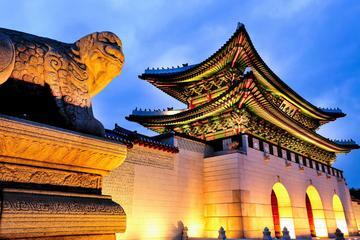 We found the best price through HotelsCombined, which took us to Agoda. However, Agoda is also the only booking site where they don’t seem to offer breakfast as an inclusion or an optional extra. 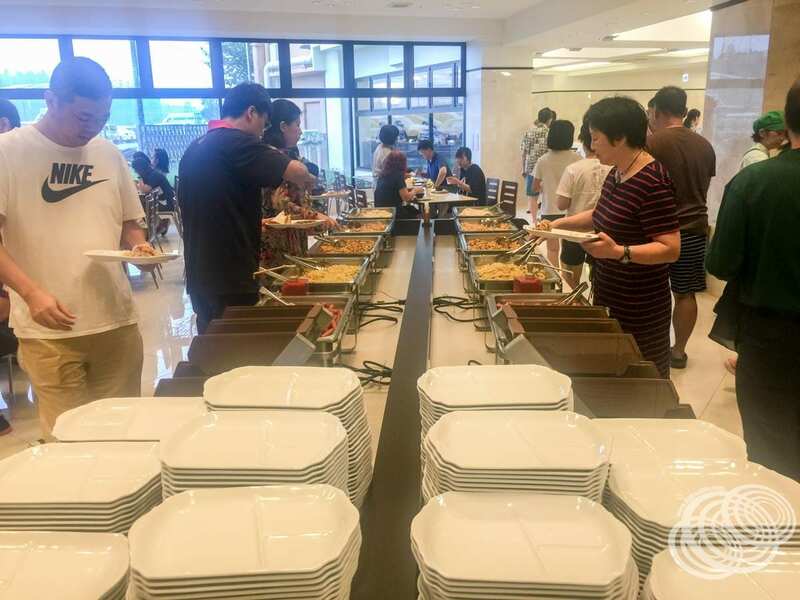 Their website states breakfast is included free, but without that clarity on the Agoda website, we decided to go with a booking site that made it clear. For only a few dollars more, Hotels.com stated that breakfast was included. For those few dollars we couldn’t have bought breakfast elsewhere anyway and I had a 10% off coupon for them, so we went ahead and booked with them. In the end, after using the coupon, we paid $96.93 Australian which worked out slightly cheaper than the Agoda price. Hotels.com is not always the cheapest, or even close to the cheapest (t wasn’t this time except for the coupon), and price competitiveness varies from day to day, so definitely check HotelsCombined for the best rates before booking. If you happen to hold a Toyoko Inn Club Card, you are eligible for a discount if you book directly with the hotel, however, that discount works out pretty similar to the prices you can get via the booking sites. There is a Lawson convenience store in the hotel foyer. 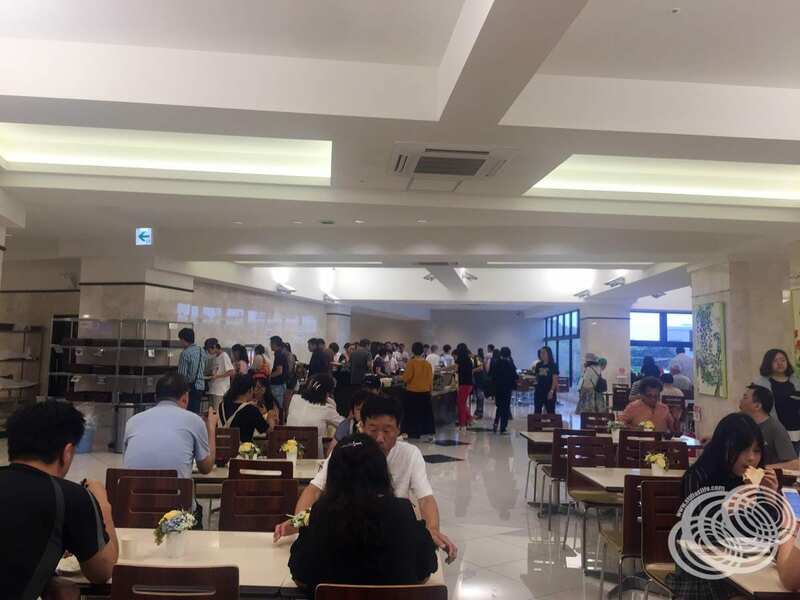 We actually picked up some food at the airport, but you can get fully prepared and heated meals at Lawson and they are very cheap, as long as you don’t mind pre-packaged food. If you are paying for your accommodation at the hotel, payment is very flexible. They accept cash, Visa, MasterCard, American Express, Diners, JCB, and Alipay. The hotel foyer is open 24 hours a day. Check-in is available from 4:00 pm (3:00 pm if you are a Toyoko Club Card holder). Breakfast is served in the dining room between 6:30 am and 9:30 am every day. The Toyoko Inn Narita Airport was undergoing renovations while we were staying. These renovations had no impact at all on our stay, we didn’t notice any noise or disruptions. It does mean though, that there will likely be some newer room styles coming soon, something that is well overdue. The hotel decor is dated, with the halls, elevators and rooms looking like they belong in another era altogether. That said, everything is clean and well-maintained. I’m looking forward to seeing what the newly renovated section looks like when complete. On a side note, if you happen to need parking, there are 205 spaces available at a cost of 500 yen for 24 hours. Upon our arrival, we were a little overwhelmed. As you enter the foyer, the front desk is on the right-hand side, and Lawson’s is even further to the right. The dining room and elevators are on the left along with vending machines. The shuttle lets us out right outside the hotel foyer, but there were people everywhere and there didn’t seem to be a clear queue for the front desk. Fortunately, it turned out that was because there were only two other people waiting to check-in. The staff at the check-in counter were extremely helpful, their English was surprisingly limited for their location as an airport hotel, but definitely still enough to ensure the process was smooth. They also did a brilliant job of picking out the foreigners and making sure we were looked after and understood what was happening. As at any hotel in Japan, the hotel is required to take a photocopy of all foreign guest’s passports, so ensure that you have your passports ready to go and this will speed things up. After filling out our check-in form (which was in English), and getting our passports back, we were given key cards for our room, and a little gift pack for wifey that included a facial cleanser, facial oil and facial lotion. To our surprise, they turned out to be mostly natural products, and they smelled sublime. We were in room 11027, which translates to room 27 on level 10 in wing 1. This is a non-smoking room, and you definitely want to check that when you book as both smoking and non-smoking rooms are available here. So, onto the room itself. It turns out that level 10 is also the top floor of the hotel. We were exhausted and ready to go to bed, but couldn’t help but be a little excited at being on the top floor, even though we were only there overnight. We’re on the 10th floor! Then we opened the door and were blown away by how huge this room is for less than $100 Australian! I’ll admit, the elevators are cosy, slow and seem like they are straight out of the 70’s, but it was worth the ride for what we saw. The room is not only on the top floor, it’s also a corner room, which means lots of windows. The two beds, a queen bed and a double bed, back onto a sparsely decorated wall, and look across the room to massive windows. These windows start from about 60cm above the ground and run to the ceiling, covering almost all of the longest outside wall in the room as well as most of the shorter outside wall. The beds face this huge window that runs almost the entire length of the room and up to the ceiling. 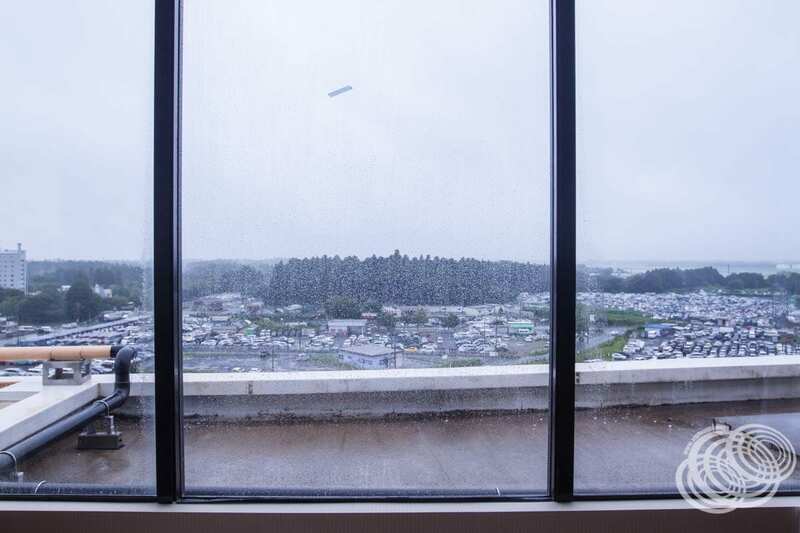 Even though the view is only of car parks, the airport, and roads, these enormous windows make the room feel even bigger and almost give it a feeling of luxury, somehow, almost. Also in the room, you will find a lounge, reading lamp, flat-screen TV, bar fridge, safe, kettle, ice bucket, dressing table, hanging rail, and of course, the bathroom. The room is air-conditioned and has free wifi, and there is a little surprise in the bathroom. The wifi is decent, but don’t expect mind-blowing speeds either. It’s comparable to what you can get on the National Broadband Network now in Australia. 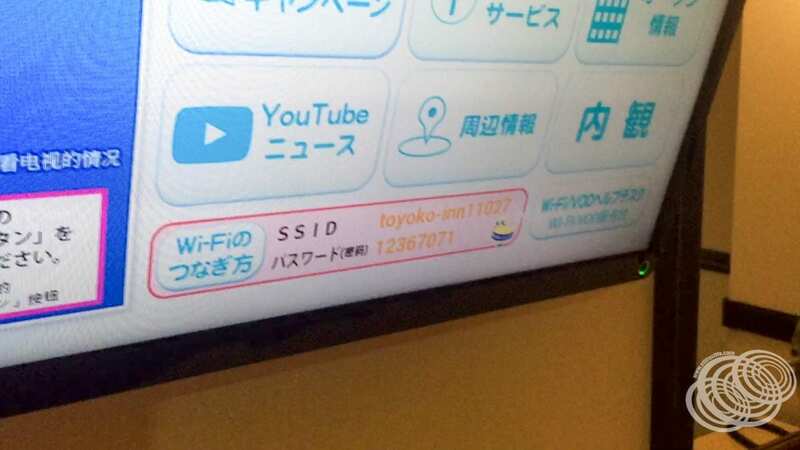 One thing to be aware of though, is that there is no written connection information anywhere to tell you which wifi network to use or what password to use. It turned out to be staring us in the face though. The home screen on the television shows those details in the bottom right of the screen. It’s fairly small, and parts of it are in Japanese, but it’s there! This TV home screen also gives you access to a number of other features like on-demand movies, YouTube, nearby attraction information, location information, breakfast info, and everything else you would normally find in a hotel room compendium. Last but not least, as with most Japanese hotel rooms, you’ll also find slippers, a shoe horn, and a shoe shine kit. It was surprisingly lacking pyjamas, shoe deodoriser, and an air purifier though, all items that are virtually ubiquitous at hotels in Japan. 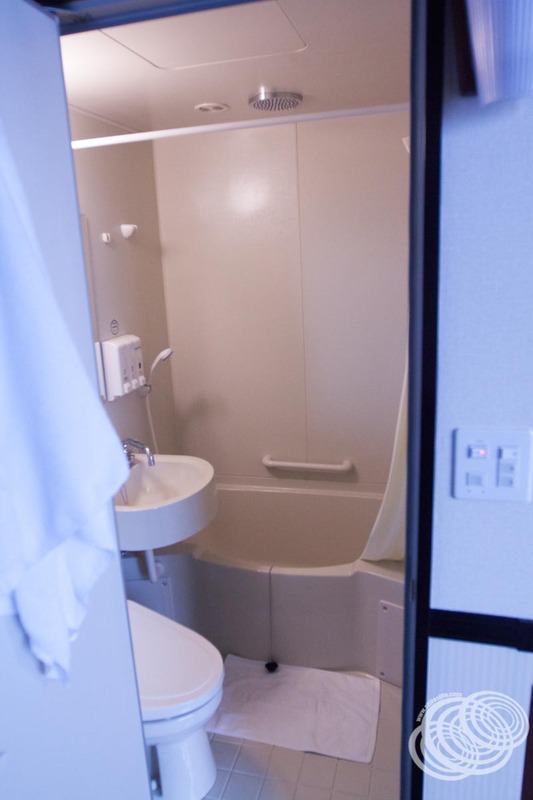 If you’ve ever stayed in a Japanese hotel before, you are probably familiar with the pod bathroom. 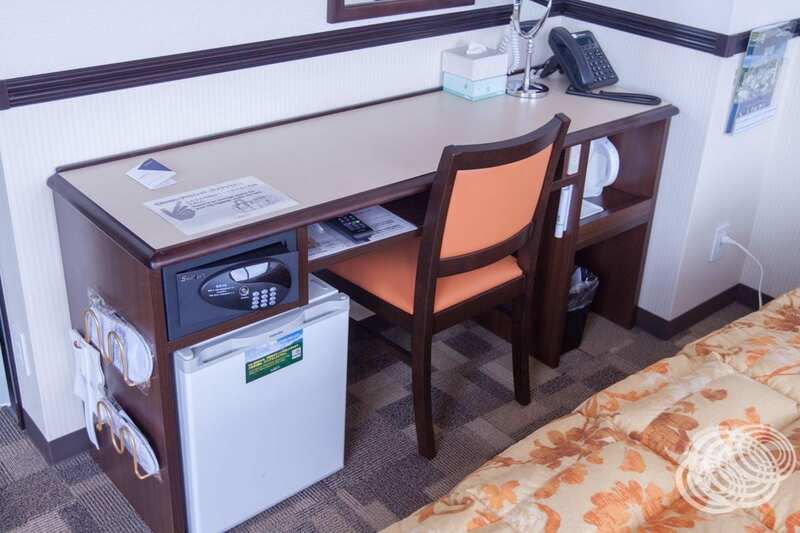 With its cosy beige pod, the Toyoko Inn is no exception. Inside the narrow door is the standard hotel bathroom found all over Japan with minor variations. 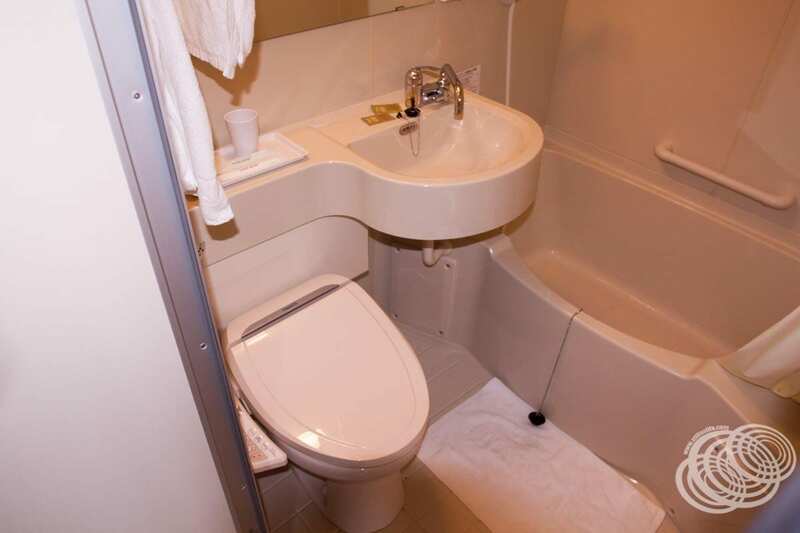 As you might expect, there is a Western toilet with bidet, hand basin, mirror, bath, and shower hose over the bath. There are two things that make this one a little bit different and a little bit special. The first is that the bidet is full-featured, in the sense that it warms the water before it sprays, and it blows warm air for drying your clean backside. Believe it or not, the percentage of hotel room bidet toilets that don’t dry your rear for you is quite high. There’s also a surprising amount that uses cold water. 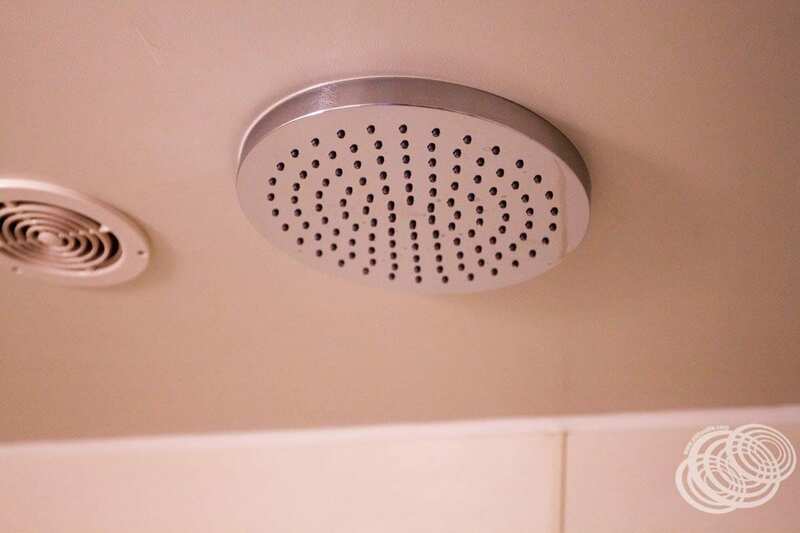 The second surprise here, and this was the big one for me, is that there is a second shower head. In addition to the hose shower, up in the ceiling is a rain shower! I love these showers because I can actually get completely under them. At 6 foot tall, most showers are a little too low for me, and in Japan, it’s safe to say almost every shower is too low. So it’s not a big thing, but it’s just something unexpected that makes the experience more unique. An all-important question, especially if you have to be underway again early in the morning like we did. I’ll be honest, the beds are firm to the point of being hard. Now when I say hard, I mean the carpet would not be much harder. We sleep on a firm mattress at home anyway since wifey and I are both stomach sleepers, but these beds take firmness to a whole new level. I didn’t expect to get a good sleep at all. That said though, we both fell asleep pretty quickly and felt refreshed in the morning when we woke up. I should add to this, as hard as these beds are, this is pretty common in Japan. It seems to be a preference there, and these are not the hardest beds we’ve slept on in Japan either. It is however quite a shock when it’s your first night on one. Come morning, we were appreciative of the heavy block-out curtains that kept the room dark after sunrise. So dark that when my alarm went off, I wasn’t convinced it was actually morning. So overall, we slept well. Hotel breakfasts are usually pretty similar, even in Japan, most follow a fairly standard model with fairly standard food. This one though was a bit different. It’s a buffet style, and it was hectic. It seemed like every guest in the hotel was scrambling for food all at once. Some sections had a queue that appeared to be around 40 people long, and that’s not including those that were pushing in. Top that off with it being the only place we went to on this trip (which included a lot of remote places in Hokkaido) that had no English labels and very few Japanese labels, and it made for an interesting meal. If you don’t have any specific dietary requirements, then the labels aren’t a big deal. Even without them, I found it easy enough to pick out what things were vegetarian and what wasn’t. I’m sure the staff would be quite happy to help, but they seemed like they were pretty stressed trying to avoid the stampede while also getting the food out! It would be easy for it to become a stressful meal, just because of the way people were behaving there, but if you plan out your time, there is no need to be stressed. Just avoid the busy areas. I got enough vegetarian food to eat while not queueing at all (except for an orange juice), so it is possible. 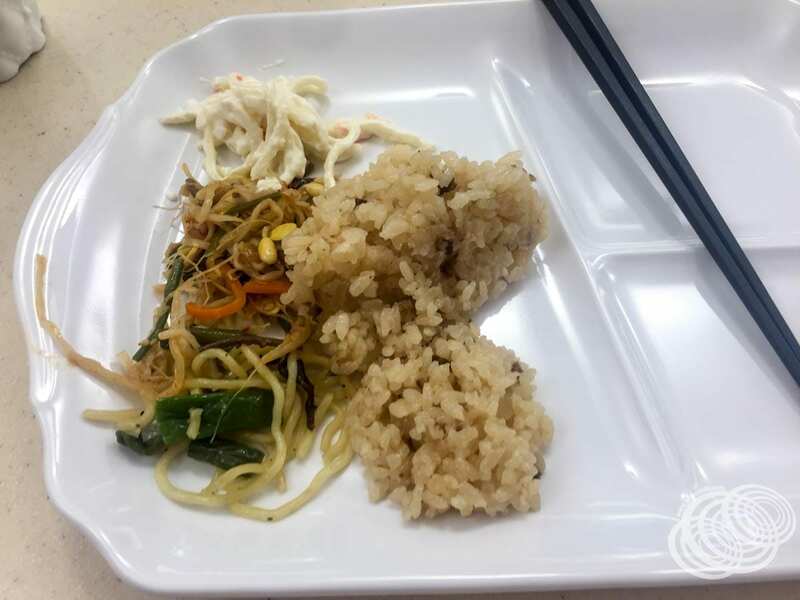 As at a lot of hotels in Japan, when you are finished your breakfast, you are expected to return your used plates, cutlery and cups to the dirty shelf where they are collected for washing. Overall, the food we had was nice, nothing special, but there was nothing wrong with it either. The atmosphere was frantic, but if you plan your morning with some extra time, you don’t need to be a part of the rush. Staff really look out for foreign guests. Great price for their top room category. Free shuttle to and from the airport that is easy to find. Lawson convenience store in the foyer. Easy to access vending machines. Free wifi with decent speeds. Hallways are quite hot and humid in our opinion even though the rooms are well air-conditioned. Breakfast is a mad rush. No English and very few Japanese food labels at breakfast. This is an airport hotel, and with that, there are a lot of travellers, both domestic and foreign. That means there are a lot of people worried about time and rushing around. In spite of that, our room was silent besides the occasional hall sounds. The room itself was huge and had everything we needed, in fact, it was the biggest room we had during our entire trip to Japan that cost less than $300 Australian per night. It was also the cheapest room except for our night at the Tokyo Kiba Capsule Hotel. The styling overall was dated, but it was very clean and comfortable, in spite of the hard beds. We slept well, and really enjoyed the enormous windows for the short time we spent here. So overall, I’d say that the Toyoko Inn Narita Airport is great value for money with friendly, helpful staff and convenient access to the airport and food. We would definitely stay here again if we find ourselves in need of a hotel at Narita Airport in the future. Toyoko Inn Narita Airport shuttle timetable – Parts are in English, use Google Translate for a reasonably clear translation. Let me know in the comments what you think about the Toyoko Inn Narita Airport Hotel if you’ve stayed there! I hope you find this review helpful, and if you do, please share it. If not, let me know what else I can include and make it more useful for you. One of the big things we utilise our Bartercard membership for is travel. Bartercard is only available in a limited number of countries, and outside of Australia, New Zealand is one of the bigger ones. This makes it perfect for use when travelling. There are, however, a few caveats that Bartercard won’t tell you. Ironically because they either don’t know or don’t actually understand the problems that exist with the network when you are trading between Australia and New Zealand. It took me a great deal of pushing to finally come up with solutions to some of these issues, and if you are aware of them in advance, you can plan for them so they aren’t a problem. In Australia, very few EFTPOS terminal providers have ever been compatible with Bartercard and right now I don’t believe any of them are compatible. That means in Australia we are used to processing all our transactions using the trade vouchers, the mobile app, or the MyBC website. In New Zealand though, they are much more advanced. Bartercard is compatible with pretty much every EFTPOS terminal provider in New Zealand. This means that most merchants only process transactions this way. Why? It’s so much simpler, especially for staff training, because it’s no different to processing a credit or debit card. We encountered very few Bartercard members who knew how to process transactions any other way. Rather than making Bartercard a seamless experience this created some big problems for us. It turns out that while Bartercard is much more usable and accessible in New Zealand, the EFTPOS terminals cannot process Australian cards. The net result is primarily employees looking confused and unsure about what to do next because they aren’t trained or even aware of any other ways to process Bartercard transactions. If you contact Bartercard about it, they will just tell you it’s all good, just pay using the app or trade vouchers. This is an ok discussion to have if you are dealing with the owner, but if they aren’t available, our experience was that everywhere outside of New Plymouth, employees didn’t know what we were talking about, nor did most of the owners we spoke to. Also, the app requires mobile data so if there is no wifi you need to be roaming or have purchased a New Zealand sim card. We found that hotels/motels were typically more likely to know how to use MyBC or vouchers to process transactions, or to at least have processes in place for employees to get all the details and either the duty manager or owner would process it later. This was not always the case though and we did encounter one hotel, in particular, that would not entertain any other payment options, it was either through the EFTPOS terminal or cash. We encountered a number of others that also were not aware of the issue and didn’t know how to process the payment any other way. The next recommendation from Bartercard is, of course, to drop into a trade office and pick up a trade voucher book, because every merchant can process Australian cards that way with no problems. Except, however, that most of the owners we spoke to had never even seen a trade voucher let alone knew what they were. Employees even less so. Owners were sometimes willing to learn, once they confirmed with Bartercard that they are in fact a legitimate method of payment. In most cases though, we’re talking a half hour conversation with the owner followed by them calling Bartercard. So this can easily kill your schedule. Employees are generally suspicious. The first place we visited on Bartercard was The Hop Garden. This is where we first discovered the problem. They had confirmed in advance that Bartercard was fine, however, it turned out no one knew how to process it any other way so they required us to pay cash instead. We found one restaurant out of all the Bartercard businesses we visited (excluding New Plymouth) that was willing to give the vouchers a go. The only problem was, it turns out they had no record of their Bartercard number, the 24-hour Bartercard authorisations line can’t give it to you, and it was outside of trade office hours so they couldn’t call their trade office either. Also, the owner was overseas and unreachable. We spent over an hour with the duty manager that night trying to get it processed. With only one waiter and bartender on besides himself that night, there was a backlog of food coming from the kitchen, and a delay on drinks coming from the bar. It was starting to upset other people and we felt pretty awful. Not to mention, it was getting pretty late. Finally, they decided since the 24-hour authorisations line had confirmed the vouchers are legitimate, they would take it with our details and process the payment when the owner got back. We had a voucher with us so we filled it out with all our details. We also left all our contact info. 6 weeks later, the payment still hasn’t been processed. In New Zealand, you can purchase Bartercard gift cards using your trade dollars. These gift cards work in the New Zealand EFTPOS terminals and behave just like any other Bartercard card. This is the best solution we were able to find. Bartercard gift cards have a $500 limit. You can only get 1 gift card per person in a 12-month period. Bartercard New Zealand was willing to load $1000 onto our gift cards and issue us two cards, one for me and one for my wife. The caveats here were that it was not made clear to us (and yes I’ve checked all of our communications) that you can’t get more than 1 gift card per person in a 12-month period. It was only when we ran out 2 weeks out from the end of our trip and wanted to pick up just one more card that we were told that would be an issue. If we had been advised of that clearly, we would have used them differently and skipped a few of the things we did so that they would last us through. Now, the gift cards did come with a terms and conditions sheet, which I skimmed over. So there probably was something about the 1 card per person limit in there, but it’s not something you expect given you can buy thousands of dollars in gift cards for supermarkets or department stores over the counter without issue. Apparently, there are anti-money laundering laws in New Zealand which are why this limit is in place. Again, odd given how many gift cards I could buy for New World or Farmers without anyone caring. Also odd given the solution is identity verification, which Bartercard Australia has already done, yet Bartercard New Zealand won’t accept that, even though they then send your ID back to Bartercard Australia to do the verification anyway. What? Yeah, I thought so too. When you land in New Zealand, head to the nearest Bartercard office and let them know you want to buy a gift card for each person. If you think you will need more than the limit, let them know you are just visiting and since Australian cards don’t work in the EFTPOS terminals, ask them if it is possible to put $1000 on the cards instead. They may do it for you if you push for it. Plan to use your Australian Bartercard as much as possible for accommodation providers as they are the most likely to know how to process cards online or with trade vouchers. Make sure to let them know before you arrive that it is an Australian card though and that they don’t work in the EFTPOS terminals. Just use the gift card in places where it is higher traffic and they are less likely to have foreign cards come through, for example, restaurants, cafes and stores. Greytown is a small town about an hour north of Wellington. We chose it as our base for a few days because it put us on the opposite side of Wellington Harbour, the perfect place for exploring the south-east corner of the New Zealand North Island. There are not a whole lot of accommodation options here though. We chose Greyfriars Motel for two reasons. If you’ve stayed here as well, either in a garden room, or another room category, I’d love to hear what you thought about it. I’d also like to know what your favourite things to do in the area are. Let me know in the comments after this article! This article is all our own experience. Our booking was paid for by us, and no part of it was free or subsidised. That said, many of the links below are affiliate links, which means that I get a small commission if you click it and make a booking or purchase. I hope that you’ll use these links anytime you need to book a place to stay or activity! These small commissions help me to keep travelling so I can write and film more travel guides for you. I would never recommend anything I don’t or would not personally use! Our primary reasons for selecting this hotel are that they traded on Bartercard and their location. 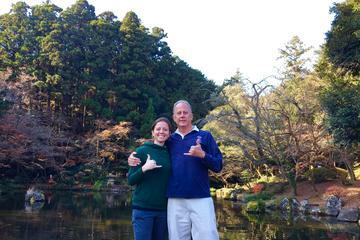 Trading on Bartercard was essential for us because it made up a significant portion of our budget for this trip. Greyfriars Motel is right in the centre of Greytown, in easy walking distance to a FreshChoice Supermarket as well as some of the town attractions, like Schoc Chocolates, and Cobblestones Museum. More importantly, it’s in easy driving distance from Cape Palliser and Castle Point, two of the hidden gems in this corner of the North Island. Greytown is one of only a few places that are fairly central for exploring the south-east coastline of the North Island of New Zealand. The Internet is included – important since I needed to work while we were here. The high average ratings by guests. It gets an average overall rating above 9 stars according to Hotels Combined reviews and a 4.5 star average on TripAdvisor. We liked the look of the room in the photos; it looked modern and comfortable. This hotel is extremely well located in the heart of Greytown and holds a 4-star rating. We spent three nights here while we explored the area and I did some work. Being right in the centre of town, it worked out perfectly for walking to the Fresh Choice supermarket to get food, and it was a pleasant stroll down the street to visit Schoc Chocolates and the Cobblestone Museum. If you’d rather get your food at a restaurant, we noticed many different options within just a couple of blocks. We booked the Queen Studio, but when we arrived, we received an upgrade to the Garden Studio. These two rooms are the same concerning what is in them. However, the Garden Studio is more spacious and looks over the motel garden whereas the Queen Studio looks over the carpark. It doesn’t seem like much, but it is remarkable how much more inviting it is to sit down and do some work when you are looking over a lush green garden compared to a bitumen car park. Granted, you can still see the car park on the other side of the garden space, but never the less, it made for a lovely spot to both relax and also get some work done. Checking in is a quick, simple process and the owners, Sarah and her husband, are lovely and so helpful. We arrived around 7:30 pm, later than we planned, and we were able to choose to pay on check-in or check-out. We were pretty tired since we had an early start back in Australia, so we were very appreciative that within minutes of our arrival, we were in our room. Even though the weather was starting to warm up, it was still a chilly evening, and they had the heating on in the room, so it was nice and warm for us. It’s the little things that make you feel so much more welcome. Check-in closes at 9:00 pm, so make sure to let them know your expected check-in time if you are likely to be arriving late. The garden room is a surprisingly large studio style room with a kitchenette, dining area, lounge area, bed area and bathroom. The lounge is quite comfortable, as is the bed, and the kitchenette has most things you need for a more extended stay. Heating is provided by a split-system air conditioner that is more than powerful enough to handle a space of this size, and the TV is wall mounted so you can watch it from the lounge, or in bed, or really, anywhere in the room. The only qualm I have with it is that the TV is a bit high to watch from the lounge for long, but we didn’t spend much time watching TV anyway. With big windows and sliding glass doors forming almost the entire front wall of the studio, I was a little worried that light coming in might be a problem after dark or in the morning. No one likes light on their face while they are trying to sleep right? However, the thick block out curtains completely covered it, and we didn’t have any problems with lights. There is perhaps a lack of clear luggage space. There is a luggage stand, but not anywhere to put your bags or clothes while you are there that is out of sight. There are two small bedside table drawers, but that is about all. Not a big deal, especially if you are only visiting for a short stay, but I do find it helpful to be able to put at least some of our bags in a cupboard to keep things neater. The bathroom is pretty standard and has more than enough space to use comfortably. Some showers and bathrooms can be absolutely tiny, but this one is very reasonable. The towel rails are heated and the room overall is quite modern. It looks like it was built or refurbished very recently. The well-equipped kitchenette has everything you need to prepare food except for a hob. The microwave is a convection oven, and there is also a toaster, kettle and a large bar fridge. While you can’t cook anything over a stove, there are mixing bowls, and the convection oven makes it possible to prepare a decent amount of hot food without much effort. For us, we made healthy chocolate porridge (yes, there is such a thing) for breakfast and had a variety of salad sandwiches and microwave frozen meals for lunches and dinners while we were here. We were also pleasantly surprised to discover that even though the rooms are self-contained, you don’t have to do the dishes. When they service the rooms each day, they will replace any used dishes with clean ones for you. If you need to do laundry, a communal laundry room is also available. The bed is medium softness, ok for stomach sleepers but probably better for back and side sleepers. We found it quite comfortable as stomach sleepers, but it was getting close to too soft. The internet access is provided by wifi using quality Ubiquiti equipment that can be seen around the motel. Speeds are quite decent for a regional area and worked well for me to keep on top of my work here. While not the fastest, the Internet at Greyfriars Motel was one of the most stable internet connections we had on our New Zealand trip. Speeds did vary and on different days I did notice some significantly different upload and download speeds, oddly enough with lower download speeds early in the morning. 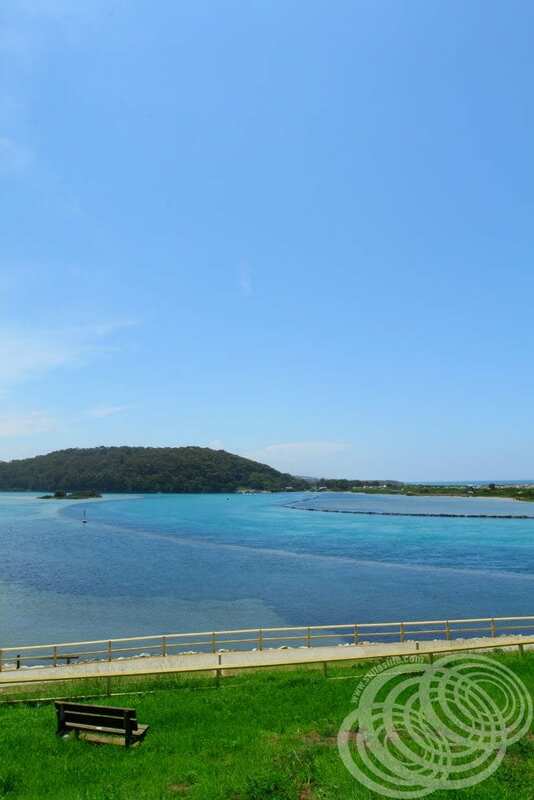 Central location, close to restaurants, attractions and a supermarket. Great to have a lounge space in the room. There is an in-room kitchenette with everything you need. The garden atmosphere is very relaxing. The room is new or recently updated. There is stacks of space in the room. Not much storage for luggage. We personally really enjoyed this motel. The room was modern, spacious and comfortable. The location is excellent with a Fresh Choice supermarket just around the corner. Restaurants and the towns tourist attractions are within a short walking distance, including Schoc Chocolates and Cobblestones Museum. Public transport options are pretty limited. The closest international airport is in Wellington, and other nearby airports are fairly minor, so you will most likely be arriving by car. Greytown is part way between Featherston and Masterton on State Highway 2, North East of Wellington. If you hire a car, prices vary quite a lot depending on what company you go with and how long you are renting. We usually book with Avis, but always check booking comparison sites like AutoEurope and with the smaller providers. When travelling to Greytown from Wellington, follow State Highway 2 through the Remutaka Pass. There are two train stations nearby. One at Woodside and one at Featherston. You can get the Wairarapa Train from Wellington and hop off at either station (depending on the day of the week). There are connecting buses that will bring you into Greytown. Check the train timetable here. From Woodside, the bus meets all weekday trains except the Friday late train. From Featherston, catch the route 200 bus. We researched prices directly on Agoda and Booking.com as well as making our usual price comparison through Hotels Combined. However, we ultimately booked directly with Greyfriars Motel for three nights at $150/night. If you need parking, there is free parking available on-site for one car per room. There is also free street parking available on the street. If you’ve stayed at Greyfriars Motel too, either in a garden room, or another room category, I’d love to hear what you thought about it. I’d also like to know what your favourite things to do in the area are. Let me know in the comments after this article! 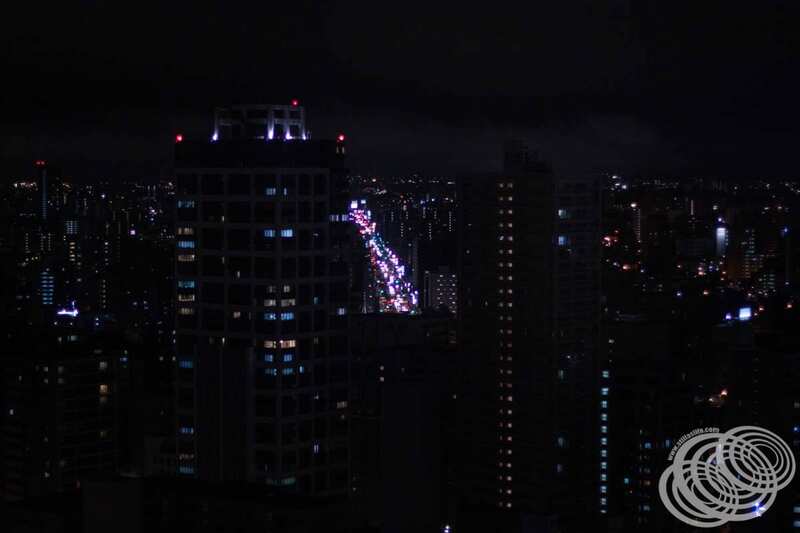 Hey everybody, it’s Matt here again, and today, I want to take you through Sapporo TV Tower at night in August. I hope you find it helpful for your own trip planning. Be sure to share it if you do, and check back for more articles and videos from our travels in Japan and elsewhere around the world. After arriving in Sapporo and checking into our hotel, the Hotel WBF Sapporo Chuo, our first sight, the Sapporo TV Tower, was just two blocks away. Before I jump into it though, I just wanted to ask, what’s your favourite tower and why? The only others I’ve been up in are Calgary Tower, Sydney Tower, and Tokyo Skytree. So far, I’ve found each one to have unique flavours, but, even though it’s nowhere near the tallest tower I’ve been in, I love the intimacy of Sapporo TV Tower and the city planning around it. Let me know down in the comments at the end of this post! Sapporo TV Tower is located at the Eastern-most end of Odori Park in the heart of Sapporo. It’s conveniently located for public transport access with nearby bus stops and the subway running below it. Being in Odori Park, it’s also convenient to access by foot from many of the hotels in Sapporo that are located near the park. There are a number of parking lots within 1 block of Sapporo TV Tower. The Sapporo Odori Underground Parking Lot is perhaps the closest. It runs under Odori Park and the Odori Subway Station, also connecting to Aurora Town underground mall. It has space for 366 cars and is across the road from Sapporo TV Tower. Pricing starts at 390 yen for the first hour and 200 for every 30 minutes thereafter. You can also get one hour free by spending at least 2000 yen at one of the stores in Aurora Town. If you visit between 5pm and 10pm (closing time), the maximum charge is 1000 yen, and if you visit between 8am and 10am, you can get a half hour rate of 200 yen if you are there for less than half an hour. The next closest car parks are to the south. There are around 4 lots in the blocks directly south of Sapporo TV Tower, including the Marui Imai and Mitsukoshi parking lots. 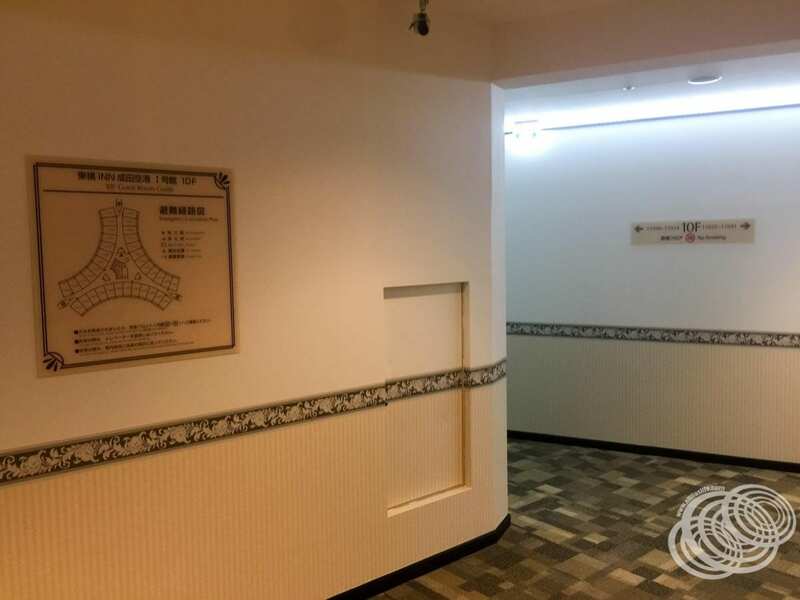 These lots are located on either side of the Toho Subway line, with the Marui Imai being below the Marui Imai shopping centre, and Mitsukoshi on the opposite side of the road. Here, you can expect to pay 190 yen per 30-minute block. Most of these lots are underground, but there are some above ground spaces such as the one below that is almost opposite Sapporo TV Tower. The closest public transport link is via the Toho subway line, followed very closely by the Tozai and Nanboku lines. If you arrive on any of those lines you will want to get off at the Odori Station and head out of exit 27. This is a 1-minute walk from the Toho line or a 5-minute walk from the Tozai and Nanboku lines. If you need to come in by train, it’s a 15-minute walk from the JR Sapporo Station and you will want to head out the South Exit. 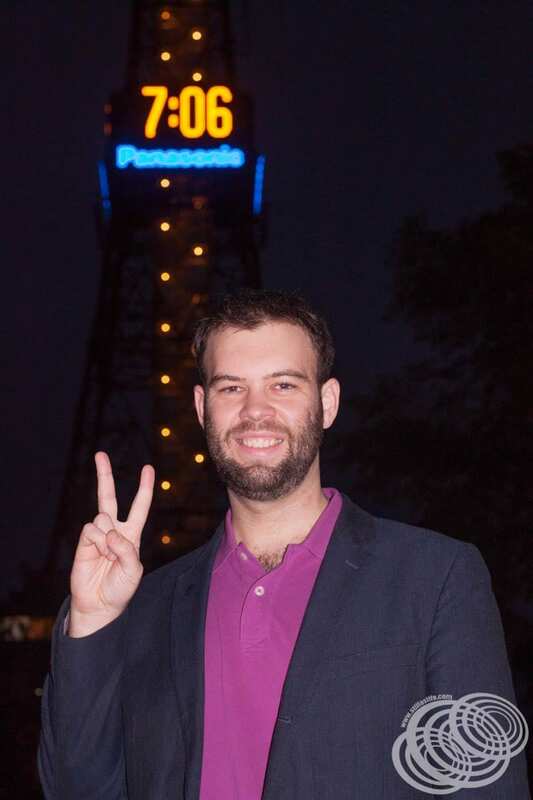 There are some competitively priced full day tours available through Viator that include a visit to Sapporo TV Tower (however they do exclude the entry fee). Standard pricing is 720 yen for adults aged 19 and over. For high school students the price is 600 yen, then 400 yen for junior high students, 300 yen for primary school students, and 100 yen for children aged 3 to 5. You can check the current entry pricing on their website and note that junior high and high school students need school ID to get their prices. Before you arrive though, make sure you do some research as there are often discount tickets available. 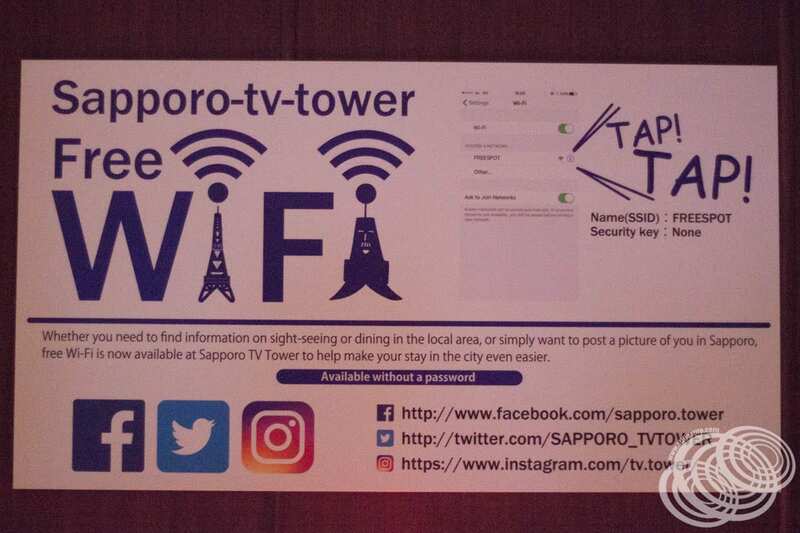 At the time of this article, the Sapporo TV tower website has a 20% discount available, just print out the voucher or present it on your phone when you buy your tickets. There are also often discount vouchers in the map books and promotional magazines that hire car companies include with a rental, so check them out to see if it works out any better for you. Tickets can be purchased on arrival at the ticket counter or pre-purchased for a designated date through Klook. If you opt to pre-purchase via Klook, the pricing is the same as standard full price tickets, however, Klook guests get to jump the elevator queue. If you book with Klook you will receive a voucher that you redeem at the ticket desk on level 3 of Sapporo TV Tower. Some things to note though is that when booking with Klook your ticket is non-refundable and the date cannot be changed. So you are sacrificing flexibility as well as a possible discount. However, you are gaining time, particularly if it turns out to be busy when you visit because you get to go straight up the lift on the next one that is available. Normal opening hours are from 9:00 am to 22:00 pm every day of the year except for New Years Day, special events and maintenance. You can check any upcoming closure dates here. Built in 1957 and standing at 147.2 metres high, Sapporo TV Tower is one of the most recognisable landmarks of the Sapporo cityscape. 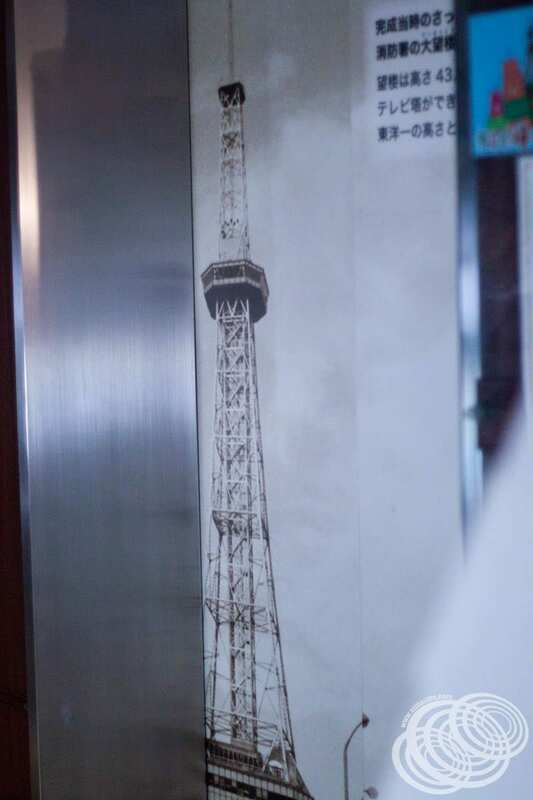 It’s similar in appearance to the Eiffel Tower and Tokyo Tower, though much shorter. As we approached it, just on dusk, we got to see the lights come on and it really does look quite underwhelming when it is first lit up at night with just minimal lighting. 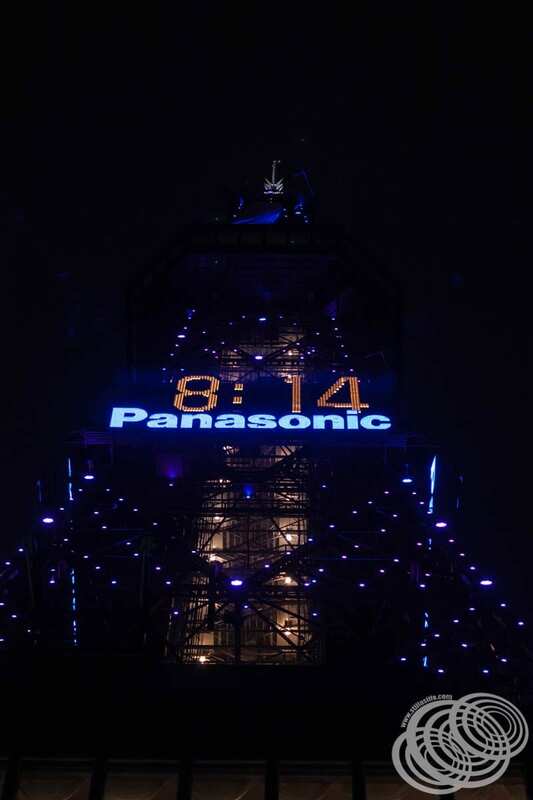 Sapporo TV Tower starting to light up, you can see the observation deck above the giant clock. However, once all the lights come on, it’s quite dramatic. 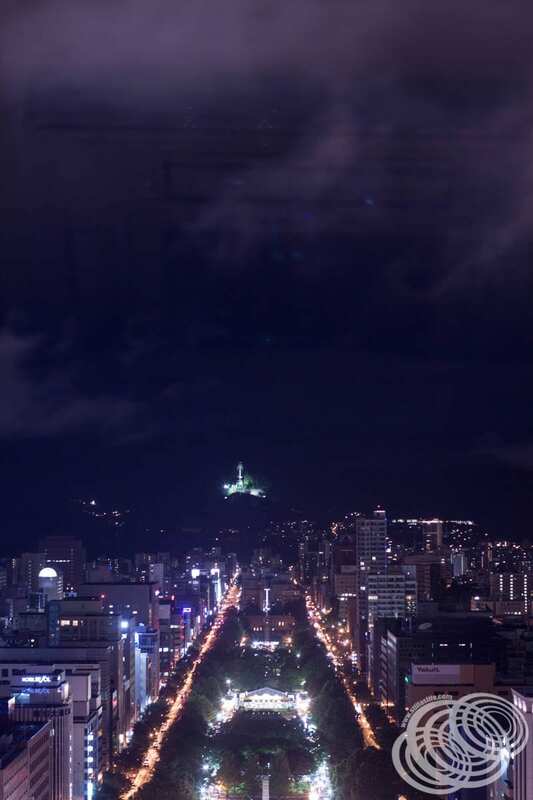 There is an observation deck located at the 90.38-metre high mark, and it gives you a great view out over the Sapporo skyline, particularly down the length of Odori Park and looking towards the Mount Okura ski jump stadium. Looking across Odori Park from the Sapporo TV Tower observation deck. You can see the Okura Ski Jump lit up in the distance. 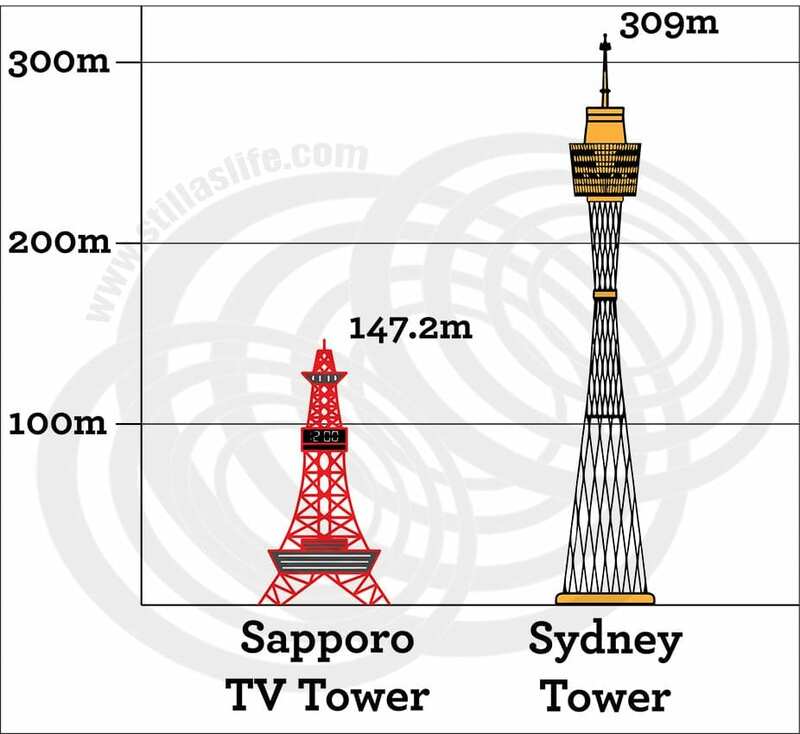 For the Australians, in comparison, Sydney Tower stands twice as high at 309 metres with the top floor being at 268 metres high. 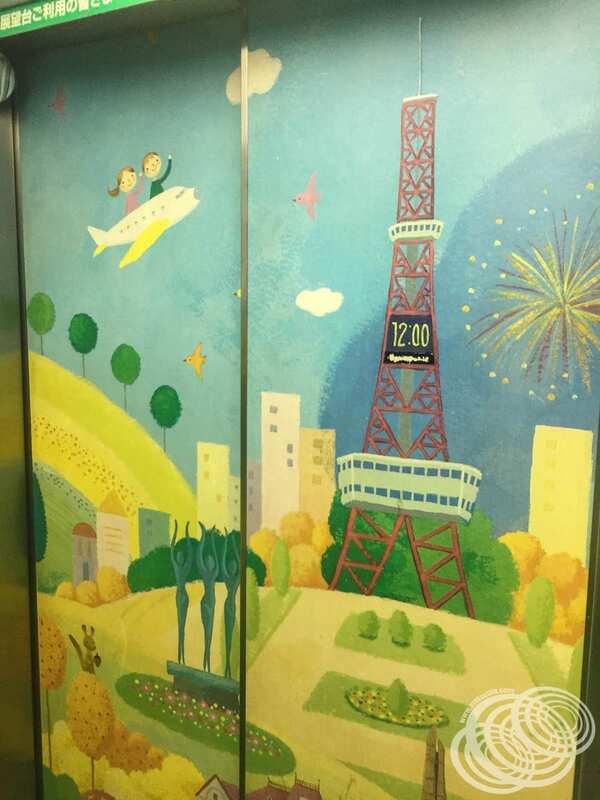 Access to the Sapporo TV Tower observation deck is via lift from the third floor, which is also where you can purchase tickets or redeem your pre-paid tickets. 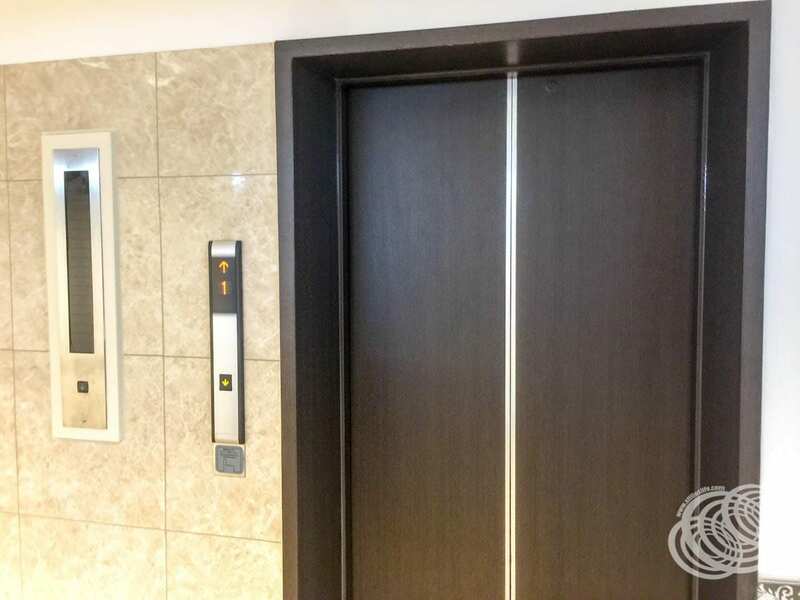 From ground level, you can either take the stairs or a short lift up to the third floor. One of the lifts to the observation deck. It’s worth noting though that if you opt for the stairs, each floor is higher than normal, so the third floor is more like the sixth floor of a normal building. The stairs are also pretty steeper. A lot steeper than a normal staircase. There are lots of encouraging signs though to help motivate you on your climb! The stairs are pretty steep. 28 more steps to the third floor! Once you have your ticket, it’s a short 60-second ride in the elevator up to the observation deck. Along the way, you can enjoy the views and listen to the recorded commentary. English is available, and it provides a very brief overview of the history of the tower on the way up. On the way down, you’ll get to hear a little bit more. When you get out of the elevator you are immediately greeted with the Sapporo cityscape, looking roughly east. 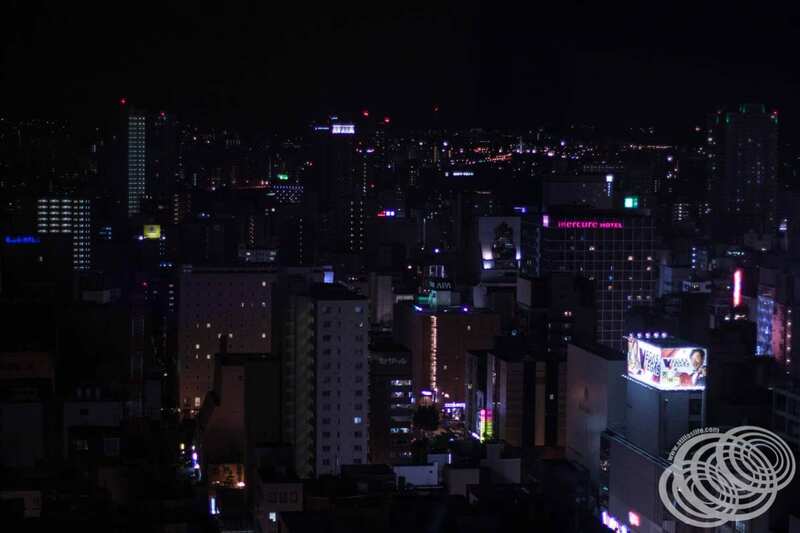 There isn’t a lot to see out this side at night since Odori Park ends in this direction at the base of the tower, and you are looking away from the heart of Sapporo’s nightlife. That said, if you go at night like we did, you’ll be pleased to see that the deck is minimally lit, meaning it’s easy to take in the city lights outside without reflections from inside the tower. 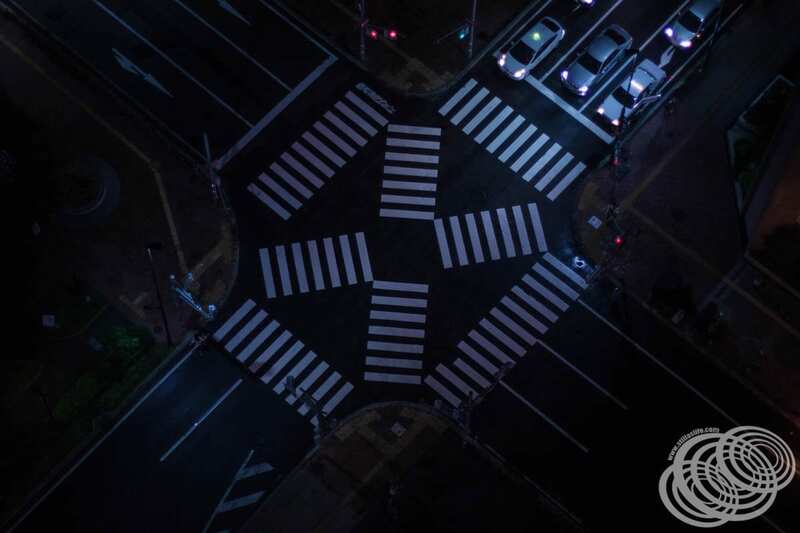 A pedestrian crossing from above. The deck itself features a lot more information about the tower as well as binoculars and a small souvenir store. 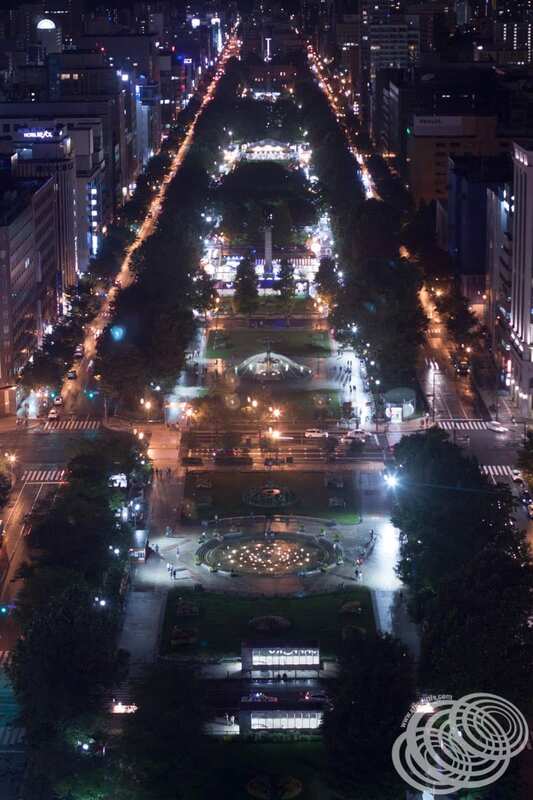 The main attraction, at least at night anyway, is the view to the west, looking down the length of Odori Park. 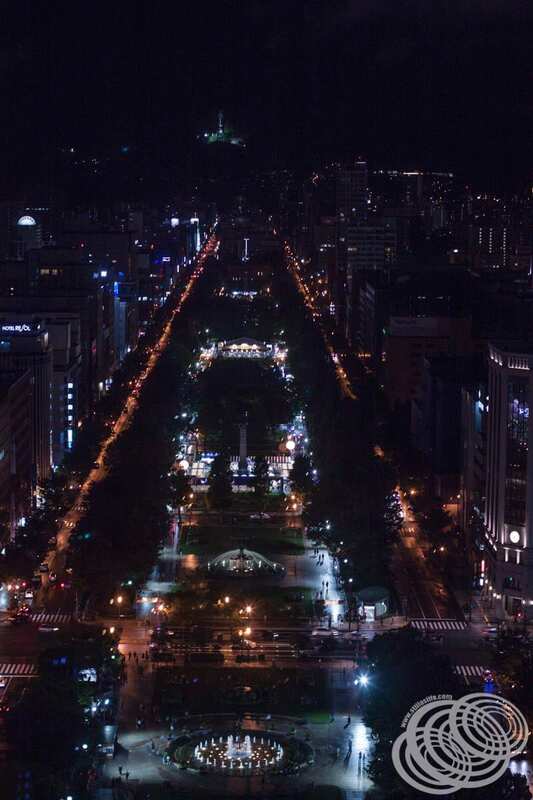 Odori Park lit up at night – the view from Sapporo TV Tower. This side is the side with the most lights and the most interesting city viewing, including the NORBESA Ferris Wheel which features a constantly changing, illuminated pattern. In the far distance, you can also spot the Mount Okura ski jump stadium, almost perfectly aligned with Odori Park and the Sapporo TV Tower. While you are on the observation deck, if you find yourself needing to share the views on Instagram but you are running out of data, free wi-fi is available. It’s not super fast, but it’s decent for free wi-fi. When you are ready to head back down, just push the button the lift, and/or wait in an orderly fashion for the next one to arrive. The lifts run up and down pretty regularly so it doesn’t take long before you are headed back to the third floor. One of the Observation Deck elevators. Once you get there, you’ll find yourself in the paid section, a section you can’t get into without an observation deck ticket. There is a much larger gift store here and you will find a lot of tower-related trinkets as well as wider Sapporo and Hokkaido related gifts. BBQ corn, a popular souvenir in Hokkaido. Melon Kuma, a hugely popular souvenir in Hokkaido, perhaps due to it’s weirdness. It’s the mascot for Yubari City near Sapporo. Pocky, another favourite in Japan. Melon Pocky is particularly popular as a souvenir since it’s grown in Hokkaido. One of the favourites in both gift stores is the TV Dad mascot. 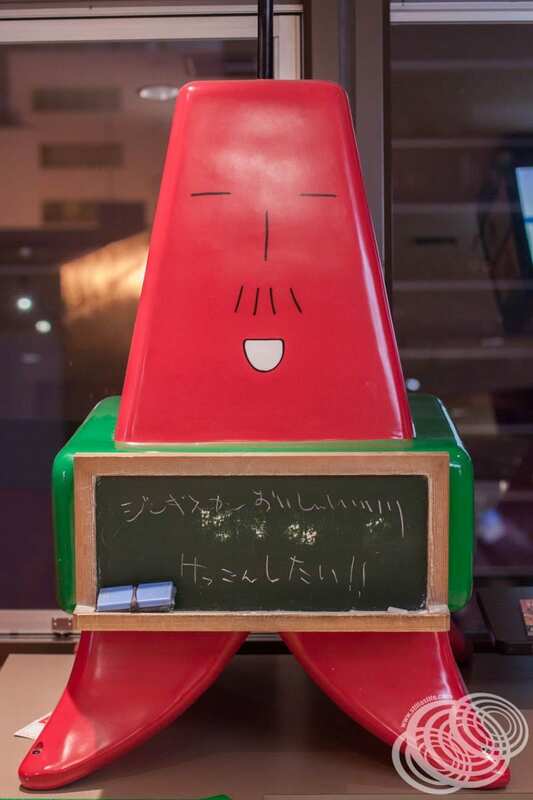 A personified TV Tower character who features everywhere in the tower, including in the cafe (which is closed at night). 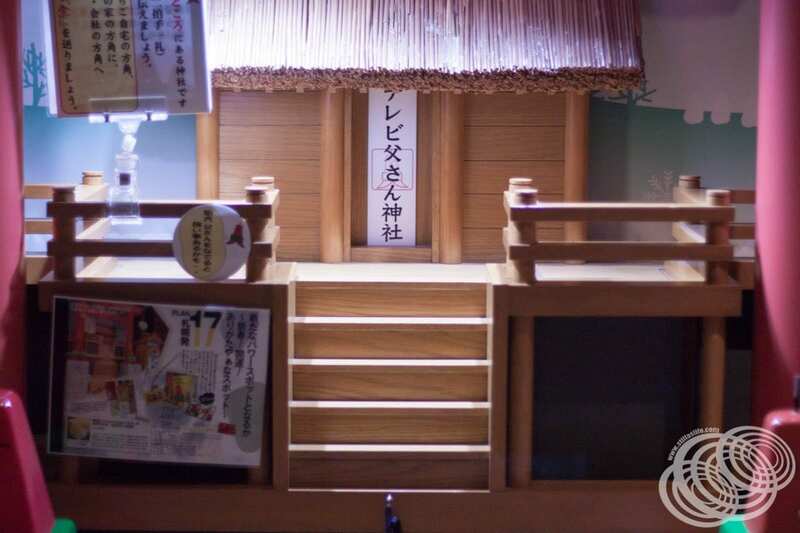 He even has a little shrine on the observation deck. Altogether, you could go up, take some photos, check it out, and head back down in half an hour if it isn’t busy. You could probably do it all in 15 minutes if there is no wait at all and you are really pushed for time. We took about an hour in total by the time we just enjoyed the city lights for a while and browsed the gift stores. Cheap to access, especially if you have a discount ticket. 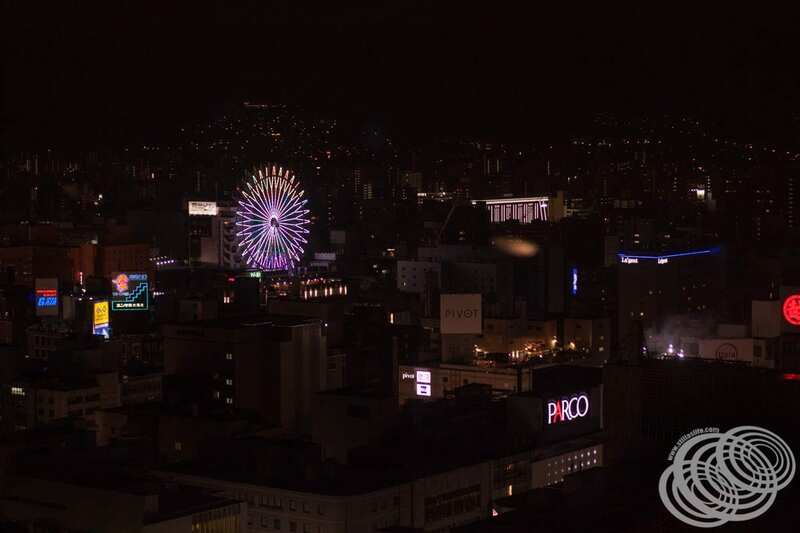 Some of the best views you will find of the Sapporo cityscape. Can be a very quick destination to visit. Open almost every day of the year until 10 pm. Centrally located and extremely easy to get to. You can queue jump if you book a set date in advance through Klook. 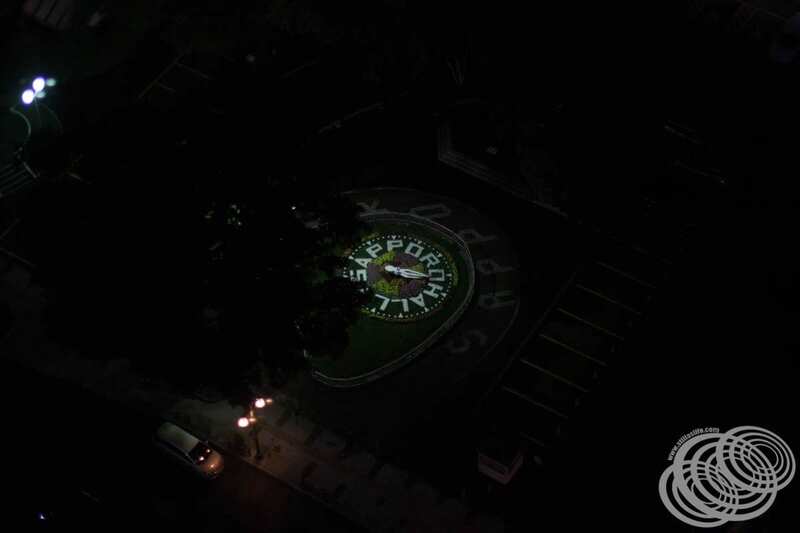 Low internal lighting at night for great night photos. Free wifi on the observation deck. Not much space on the observation deck if it is busy which could limit photo opportunities. So, the big question, is it worth your hard-earned yen? For sure. It’s easy to get to and has great views out over the city of Sapporo. It’s also cheap, and extra discounts are easy to come by so you can save yourself some money too. The caveat though, is that there is not much space in the observation deck itself, so if it’s busy you might find you have to wait a little while before you can go up. Just be sure to allow yourself some extra time in case of a wait and you’ll be fine, or alternatively, book a fixed-date queue jump ticket with Klook. Being located right in the heart of Sapporo, there are quite literally stacks of hotels within an easy walking distance from Sapporo TV Tower. We stayed in the Hotel WBF Sapporo Chuo which is located two blocks south of the tower. However, you will find there are hotels located all along Odori Park and within a couple of blocks on both sides. You can also do a search for nearby hotels using the search box below. 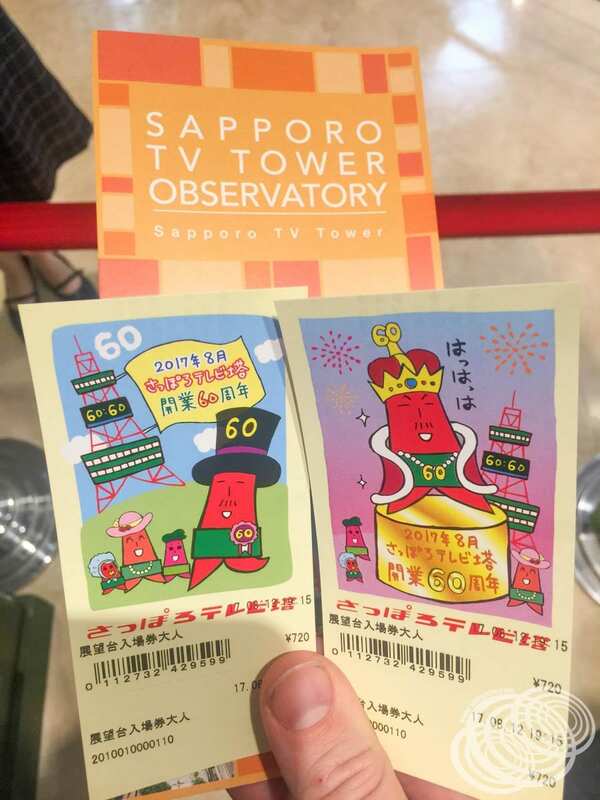 Discount tickets – from the Sapporo TV Tower website. Print out and bring it with you to the ticket desk to get a discount (English). Queue jump tickets – via Klook (English). Current ticket prices – from the Sapporo TV Tower website (English). 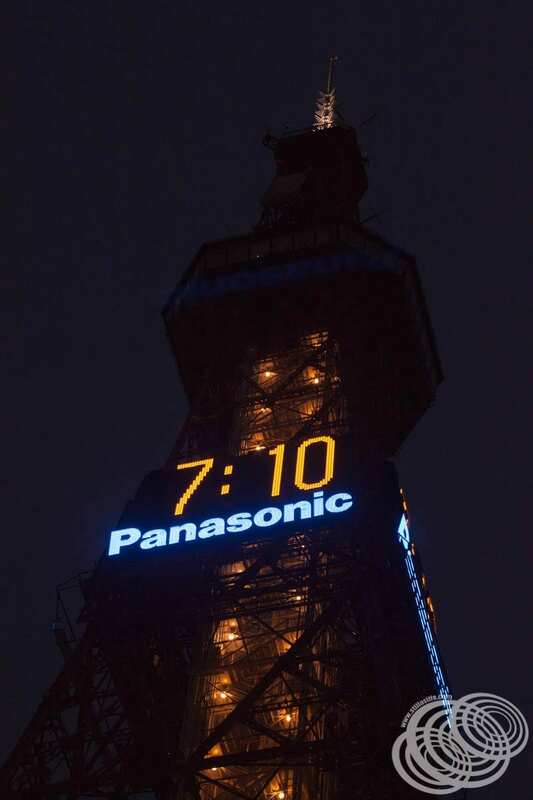 Opening hours and tower information – Sapporo TV Tower website (English). I’d love to hear from you! Let me know in the comments what your favourite tower is, and why! I hope this has been helpful for you, and if you have any questions about the tower or visiting it, just let me know in the comments down below and I’ll do my best to answer it for you.